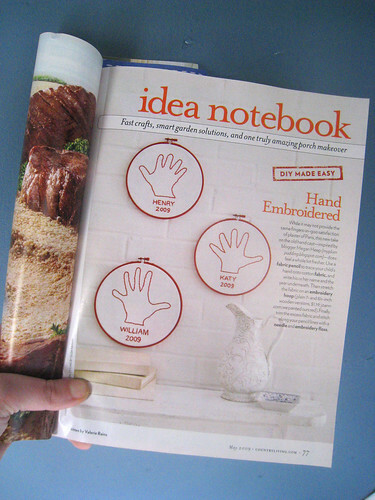 I love this fun little project featured in the recent issue of Country Living. Children’s hands were outlined and then embroidered to make an these adorable little keepsakes. Painted red frames pulls the project together. Darling idea. I think I may do these with my threee in a simple black and white. Then I can hang them on the living room wall with all of our black and white family photos!